Almost immediately following the documentary’s original airing back in March, many more injured girls came out of the woodwork to report their own experiences following vaccination with Gardasil, all with nearly the exact same story: They were healthy, vibrant, and athletic prior to the jab, but afterwards fell ill with chronic fatigue, migraine headaches, and are now unable to function as normal. For Gardasil-injured Danish girls, their government’s Health Authority has thus far refused to help them. 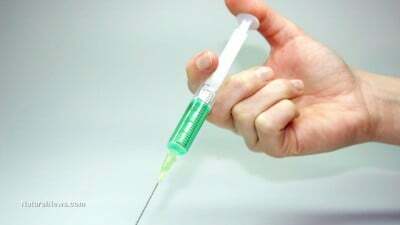 It also refuses to admit any problems with Gardasil, even though the symptoms following its administration are nearly universal among those afflicted, and typically occur within days or even hours following the shot. “I’ve been studying this for 30 years, and I’ve never seen that combination of symptoms,” says Jesper Mehlsen, head of research and chief physician at the Frederiksberg Hospital Syncope Clinic in Denmark, one of the few places where Gardasil-injured girls have been able to find help. “They all tell the same story: That it emerged in close relation to their inoculation,” added Mehlsen, who is also a former Merck & Co. employee who admits to having tested later versions of the Gardasil vaccine. The documentary is replete with many sobering stories of injured girls who, abandoned by their own government health program, are having to seek alternative treatments from physicians like Dr. Damien Downing, who’s been helping girls recover from Gardasil damage with intense detoxification and fortification with vitamins, fats, minerals, and other nutrients that feed mitochondria, the energy centers of cells. Such treatments, though, aren’t recognized by the government health apparatus as being valid, even though they’re reportedly helping many of the injured girls regain some semblance of normal life rather than be stuck in bed all day, or suffer from chronic fainting and other health problems. A common thread among nearly all the girls, it should be noted, is that they were very athletic and top achievers prior to being jabbed with Gardasil, and now their lives are essentially ruined. Another Danish doctor who’s been helping Gardasil-injured girls, Louise Brinth, says she’s repeatedly warned the Danish Health Authority about problems associated with Gardasil. But her numerous emails to Henrick G. Jensen at the government unit have gone unanswered, as have multiple inquiries by TV2. It appears as though the Danish government, through the Health Authority, has chosen to cover for Gardasil, which Jensen admitted during an interview will continue to remain on the Danish vaccine schedule even if it’s determined that the vaccine is definitively responsible for harming girls.